Pour on the olive oil, preferably over fish and vegetables: One of the longest and most scientific tests of a Mediterranean diet suggests this style of eating can cut the chance of suffering heart-related problems, especially strokes, in older people at high risk of them. The study lasted five years and involved about 7,500 people in Spain. Those who ate Mediterranean-style with lots of olive oil or nuts had a 30 percent lower risk of major cardiovascular problems compared to others who were told to follow a low-fat diet. Mediterranean meant lots of fruit, fish, chicken, beans, tomato sauce, salads, and wine and little baked goods and pastries. Mediterranean diets have long been touted as heart-healthy, but that's based on observational studies that can't prove the point. The new research is much stronger because people were assigned diets to follow for a long time and carefully monitored. Doctors even did lab tests to verify that the Mediterranean diet folks were consuming more olive oil or nuts as recommended. Most of these people were taking medicines for high cholesterol and blood pressure, and researchers did not alter those proven treatments, said the study's leader, Dr. Ramon Estruch of Hospital Clinic in Barcelona. But as a first step to prevent heart problems, "we think diet is better than a drug" because it has few if any side effects, Estruch said. "Diet works." Results were published online Monday by the New England Journal of Medicine and were to be discussed at a nutrition conference in Loma Linda, Calif.
People in the study were not given rigid menus or calorie goals because weight loss was not the aim. That could be why they found the "diets" easy to stick with - only about 7 percent dropped out within two years. There were twice as many dropouts in the low-fat group than among those eating Mediterranean-style. Researchers also provided the nuts and olive oil, so it didn't cost participants anything to use these relatively pricey ingredients. The type of oil may have mattered - they used extra-virgin olive oil, which is richer than regular or light olive oil in the chemicals and nutrients that earlier studies have suggested are beneficial. The study involved people ages 55 to 80, just over half of them women. All were free of heart disease at the start but were at high risk for it because of health problems - half had diabetes and most were overweight and had high cholesterol and blood pressure. They were assigned to one of three groups: Two followed a Mediterranean diet supplemented with either extra-virgin olive oil (4 tablespoons a day) or with walnuts, hazelnuts and almonds (a fistful a day). The third group was urged to eat a low-fat diet heavy on bread, potatoes, pasta, rice, fruits, vegetables and fish and light on baked goods, nuts, oils and red meat. Independent monitors stopped the study after nearly five years when they saw fewer problems in the two groups on Mediterranean diets. Doctors tracked a composite of heart attacks, strokes or heart-related deaths. There were 96 of these in the Mediterranean-olive oil group, 83 in the Mediterranean-nut group and 109 in the low-fat group. Looked at individually, stroke was the only problem where type of diet made a big difference. Diet had no effect on death rates overall. The Spanish government's health research agency initiated and paid for the study, and foods were supplied by olive oil and nut producers in Spain and the California Walnut Commission. Many of the authors have extensive financial ties to food, wine and other industry groups but said the sponsors had no role in designing the study or analyzing and reporting its results. Rachel Johnson, a University of Vermont professor who heads the American Heart Association's nutrition committee, said the study is very strong because of the lab tests to verify oil and nut consumption and because researchers tracked actual heart attacks, strokes and deaths - not just changes in risk factors such as high cholesterol. "At the end of the day, what we care about is whether or not disease develops," she said. "It's an important study." Rena Wing, a weight-loss expert at Brown University, noted that researchers provided the oil and nuts, and said "it's not clear if people could get the same results from self-designed Mediterranean diets" - or if Americans would stick to them more than Europeans used to such foods. 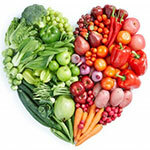 A third independent expert also praised the study as evidence diet can lower heart risks. "The risk reduction is close to that achieved with statins" - widely used cholesterol drugs, said Dr. Robert Eckel, a diet and heart disease expert at the University of Colorado. "But this study was not carried out or intended to compare diet to statins or blood pressure medicines," he warned. "I don't think people should think now they can quit taking their medicines."